Criminal cases which occur in Sterling Heights, Shelby Township, Macomb Township and Utica are handled at one of the above 41-A District Courts. The Shelby Township location has jurisdiction over cases that occur in Shelby Township, Macomb Township and Utica. In Michigan, the crime of shoplifting is known as retail fraud and it is one of the most prevalent crimes that we see in both of the 41-A District Courts as well as every other district court in Macomb County! There are numerous retail establishments situated within the jurisdiction of the 41-A District Courts. Of course, there is Lakeside Mall located in the City of Sterling Heights. In addition, there are numerous national retailers and boutique stores located on the M-59 corridor and throughout the region including Sam’s, Meijer, Walmart, Kmart, CVS, Home Depot, Target and Kohls. The Partridge Creek Mall, also on M-59, is located in Clinton Township. The 41B District Court has jurisdiction over Clinton Township. These high traffic shopping areas are the reason we see so many retail fraud cases on the court’s dockets in both the 41-A District Courts and the 41-B District Court. This publication will cover the topic of retail fraud in the 41-A District Courts. We have practiced criminal law extensively in the 41A District Courts longer than most law firms in Macomb County. I can say that in my nearly 40 years of practicing in this district, it is a court where the judges will not pass judgment on anyway and will give offenders a second chance as I will explain in this publication. Do not hesitate to hire a lawyer immediately if you are accused of retail fraud 1st, 2nd or 3rd degree! Retailers use a variety of resources to deter theft and identity shoplifters. 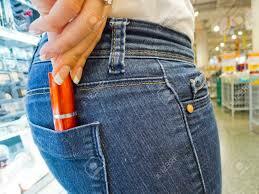 Usually, a shoplifter is apprehended by a loss prevention employee. The loss prevention employee will obtain identification and detain the suspected party unless apprehension and detention is met with resistance and combativeness. Insofar as possible, loss prevention employees are trained to avoid situations which will cause potential liability to the retailer. In Sterling Heights, an arrest is rarely made at the time of the offense to conserve police officer resources. However, an arrest is always a possibility for a person apprehended for retail fraud. The police are called to the scene and the person may be arrested, booked and released on bond until a court date is scheduled. The person may be released and notified by mail once the case is within the court system. The person may be issued a ticket or notice to appear in court within 10 days or on specified date. The evidence in a retail fraud case will consist of the police report, any witness statements, confession of the accused party and any photographic or video evidence of the incident. Employees and loss prevention officers of the retail establishment will be asked to cooperate with the prosecutor and the court system in later proceedings against the accused party. Retail Fraud Third Degree: If the value of the merchandise is under $200, the punishment is up to 93 days in jail and/or fine up to $500.00, or 3 times the value of merchandise. Michigan Law provides that a person who commits an act for which he or she could be charged with retail fraud is liable to the merchant for the full retail price of un-recovered property or recovered property that is not in salable condition, and civil damages of 10 times the retail price of the property, but not less than $50.00 and not more than $200.00. You will be faced with judicial interrogation at some point in time. Having a lawyer by your side is your best bet to avoid saying the wrong thing that will tie you up in the legal system and insure that your case gets set for a jury trial instead of being worked out with a plea agreement to get it dismissed. Don’t convince yourself that you can outsmart the legal system. Think again if you believe your case will just go away if you say ‘it was a mistake‘ or ‘I had money in my purse to pay for it‘. As your attorney, we will obtain your background and set goals for the disposition or trial of your case. If you are charged with a first offense retail fraud 3rd degree, a disposition for a dismissal is a realistic goal. For repeat offenders or those charged with a felony, avoiding jail or a felony conviction may within reach. Stop Worrying, Dismissals, Reduced Charges, No Jail! Our typical client who is charged with retail fraud does not fit any particular profile. We have represented college students, senior citizens and professionals. Most of our clients that commit the offense of retail fraud are financially stable and do not need to steal. The majority of our clients charged with retail fraud are female. Anyone who has ever been charged with retail fraud share the same emotions of embarrassment, denial and shame. For clients faced with a felony (retail fraud 1st degree) a strategy to get the felony reduced to a misdemeanor may be employed. For non-US citizens, retail fraud is considered a crime of moral turpitude which means deportation and will necessitate special attention. Our attorneys are sensitive and believe that people can make mistakes. We are here to help you get through the system without having a permanent conviction on your record. The ABDO LAW FIRM will represent you or any family member who is charged with retail fraud or any other criminal offense. Call: 586-412-5555 for a Free Consultation.